Imagine yourself sitting with piles of photos and trying to sort through them according to date and location. Or trying to convince your friends that you have really stepped foot on the Leaning Tower of Pisa or the Great Wall of China and the photo aren’t just doctored. 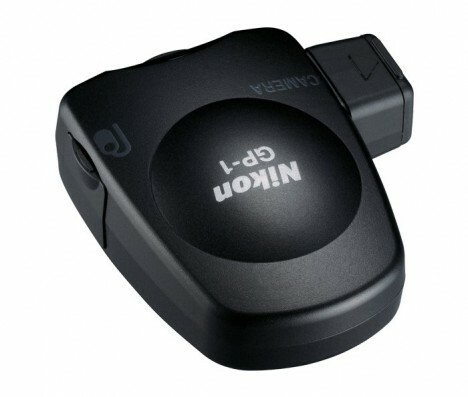 Many GPS geotagging devices are now available, and one of them is Nikon GP-1GPS. With Nikon’s GP-1GPS, you can geotag your photos in latitude, longitude, altitude and time. The device measuring just 2 X 1.8 X 1 in can be attached to the camera strap or the hotshoe of your Nikon camera. The dongle is compatible with D300, D700, D2Xs, D200 and D90. The GP-1 acquires a satellite signal within seconds and the information is then tagged to the photo. The device has a three-color indicator which will flash red if no data is received, blink green if three satellites are detected, or appear solid green if four or more signals are discovered. Photos with the 1GPS can be uploaded by using Nikon’s ViewNX software and “my Picturetown” photo storage and sharing website. Third party sites such as Flickr nd Google Earth can also be used. Geotag (image positioning information of pictures such as latitude, longitude [Geodetic System WGS84]) can be added to the image. Correlation between pictures and maps is supported by GPS function in conjunction with ViewNX version 1.2 software (no-charge download) and my Picturetown. Compatible models:D90 (via accessory terminal cable GP1-CA90), D3, D300, D700, D2Xs and D200 (via 10-pin remote terminal cable GP1-CA10). Some models may require an update to the latest version of firmware.